Clean and simple, the Lincoln Enclosure Card is perfect for including additional information or travel and accommodation suggestions. 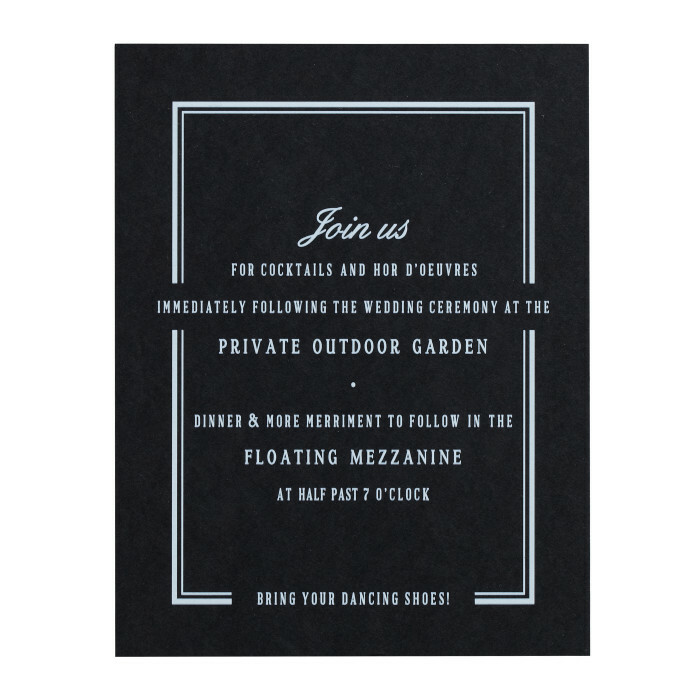 With a classic black and white palette, this piece adds variety, while small graphic flourishes tie together the entire Invitation set. 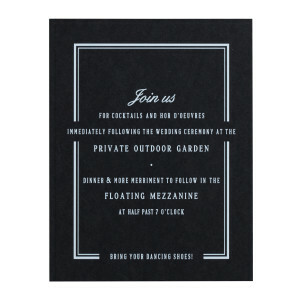 The piece is flat printed single-sided with white ink on premium black cover stock with a smooth finish. $896 for 100 two-color letterpress printed, or $629 for 100 one-color letterpress printed, or $534 for 100 white ink flat printed Enclosure Cards.